The VW Golf series is the next car to capture people’s attention after the classic VW Beetle. The excellent engine and lightweight built of the unit made it a VW car to be considered. In general, the unit is pretty responsive and easy to handle. 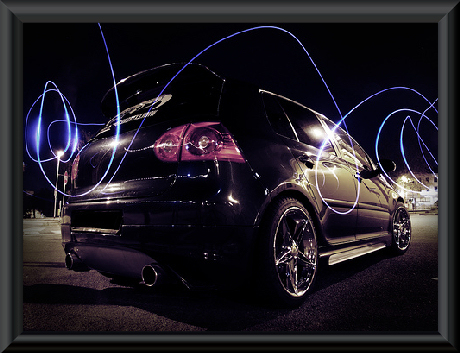 If you are looking for a VW Golf to tune and customize, the engine must be your first consideration. The VAG 1.8T would be the best consideration. A well tuned 1.8T could produce up to 300 BHP of power. This engine is powerful enough to speed up a small car like the VW Golf. Getting the right exhaust and induction kit is enough to tweak this engine to its full potential. But if you have an engine like a 1.4 or a 1.6 on your VW Golf, a good air filter would do the trick. But if you are still not satisfied with the 1.8T, then maybe it’s time for you to get a V6 4M or a V6 R32 to power your car. The newer releases of the VW Golf is heavier than it predecessors. A powerful engine should be enough to carry the weight and produce good speed and acceleration. But if you want to reduce weight, then carbon fiber is the answer to your problem. And for more response, it would be wise to opt for a lowered suspension. Taking 30 mm from your VW Golf suspension should do the trick. Just make sure to install firmer springs so that driving comfort is not diminished. Additional tuning of the VW Golf could also be done by providing a better differential. To get the most out of the front wheel drive configuration, use a semi locking differential. 18″ or smaller rims on your car could substantially provide better handling. Also, get good quality tires for better traction and safety.